My shocks have been feeling a little bouncy lately on my VW T4. I decided to fit a set of Sachs Super Touring Heavy Duty shock absorbers onto the T4. These had been recommended to me for the T4 Syncro by someone I know. They were not easy to find / buy like the normal Sachs shocks and I had to email ZF the UK distributor to obtain a list of retailers. 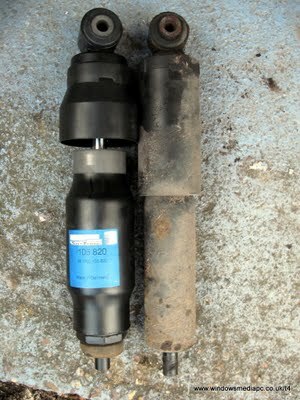 They also cost around double the price of the standard Sachs Super Touring shocks. The new Sachs shocks are more heavily built and thicker than the standard T4 shocks. The first picture is of the Orignal VW T4 Sachs / Boge Front Shock next to the Heavy Duty Sachs shock and the second picture is of one of the rear Sachs heavy duty shock absorber next to a standard VW T4 Sachs / Boge rear shock. 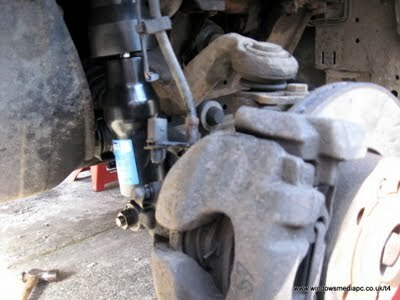 The shock absorbers were not difficult to change and it took about 2 hours to change all four. 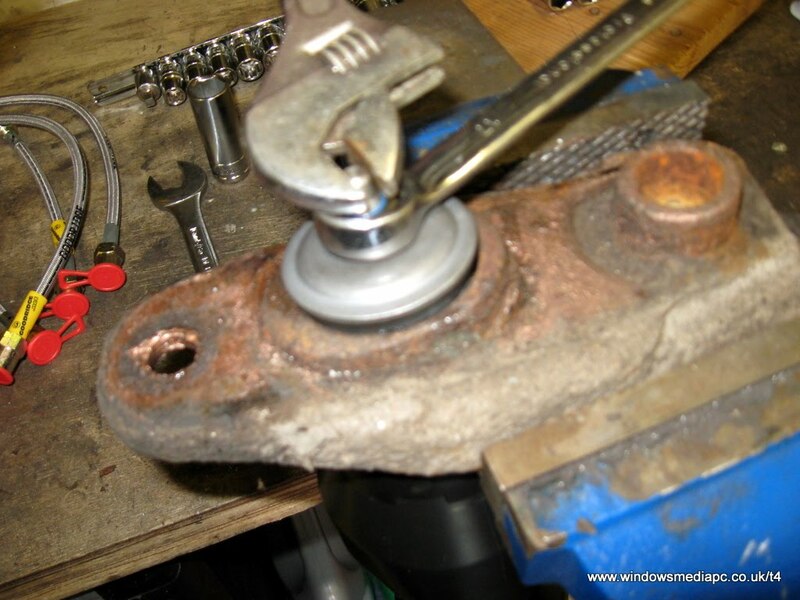 You will however need some axle stands to safely support the vehicle and a bottle or trolley jack for lifting the suspension arm while you release and reattach the shock. Some of the nuts can also be quite seized if they haven’t been removed for a while and I soaked mine in Plus Gas before undoing. Luckily everything came off easily. To remove the rear shock lower mount you will more than likely need something to hold the shock absorber body while you undo the lower mount nut. I didn’t have a large enough spanner but I managed to hold the body using a plumbers wrench. 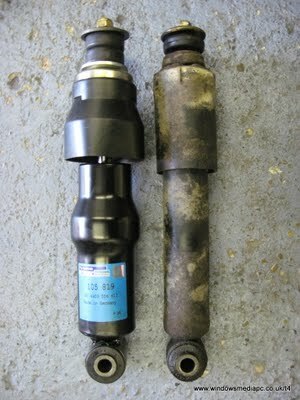 After removing the old shocks, the were still hard to compress so I wondered if they were really had it. When I drove my T4 the ride is now much better with the Sachs heavy duty shocks and the van and it no longer bouncies over speed bumps so my old shocks were definately tired. The Sachs shocks have also firmed the ride up quite a bit on my T4 and it definately handles much better.